This amazing mural is on the side of the Pride of Tennessee Elks Lounge on Jefferson Street. Nashville’s tourists tend to think that the reason Nashville is called ‘Music City’ is because of the country music scene. That’s not true! 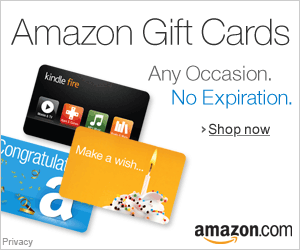 Music City got it’s name from the music scene that started on Jefferson Street, specifically at Fisk University. 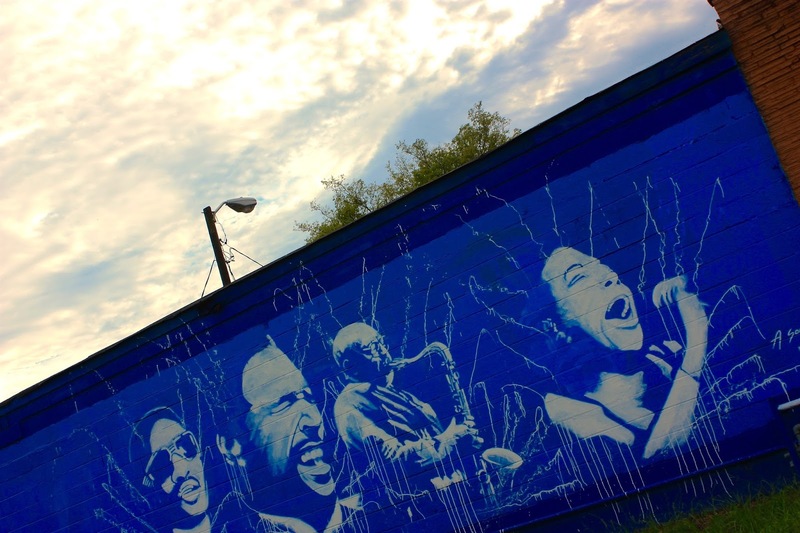 This beautiful mural celebrates the jazz & blues scene that was prevalent on Jefferson Street. This mural is huge; I can look at it all day. I love the vibrant colors and the large scale. 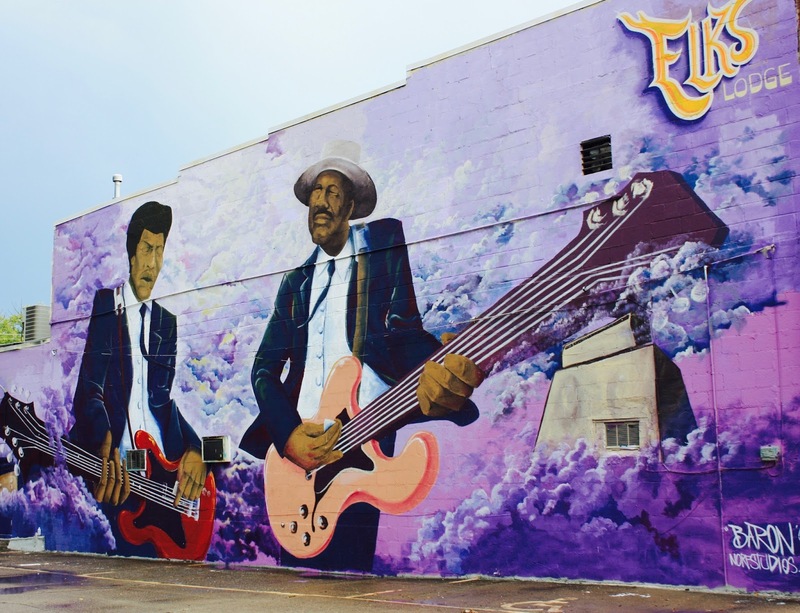 The Elks Lounge mural is more than 30 feet long and showcases more than the blue’s guitar players, the mural trails off to a visual choir of musicians and singers that have passed away. Such a great visual representation of Nashville’s musical history. 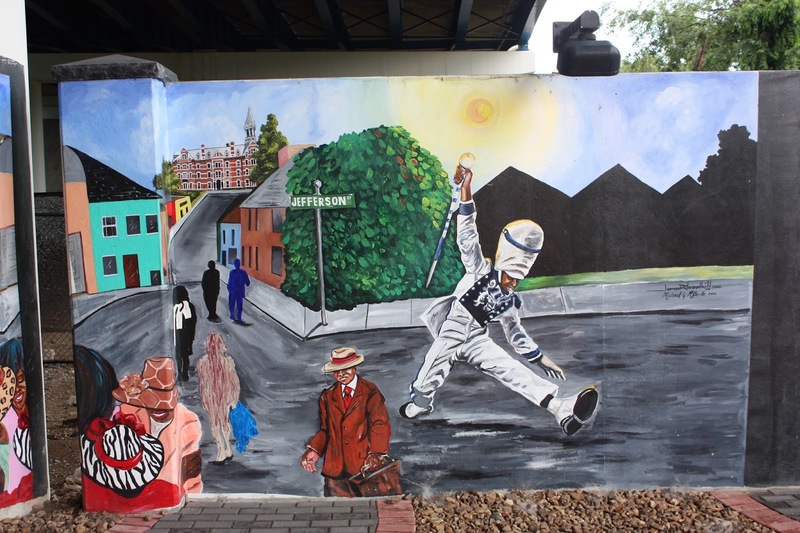 The next mural on the Jefferson Street trail is the R&B mural painted by Thaxton Abshalom Walter, owner of the Art History Class Lifestyle Lounge &a Gallery. 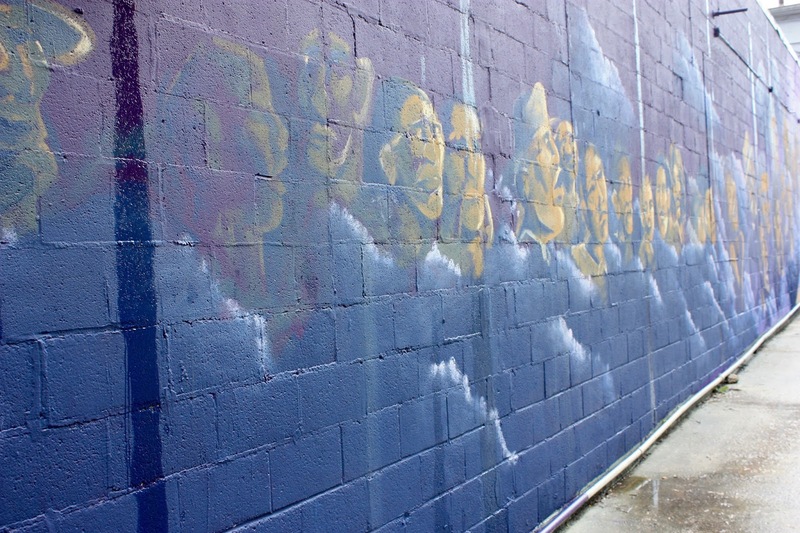 This electrifying mural is a homage to the crooners who make music mesmerizing. The piece features Stevie Wonder, Marvin Gaye and others. The most amazing piece on the Jefferson Street mural tour is one of the most amazing large scale pieces. 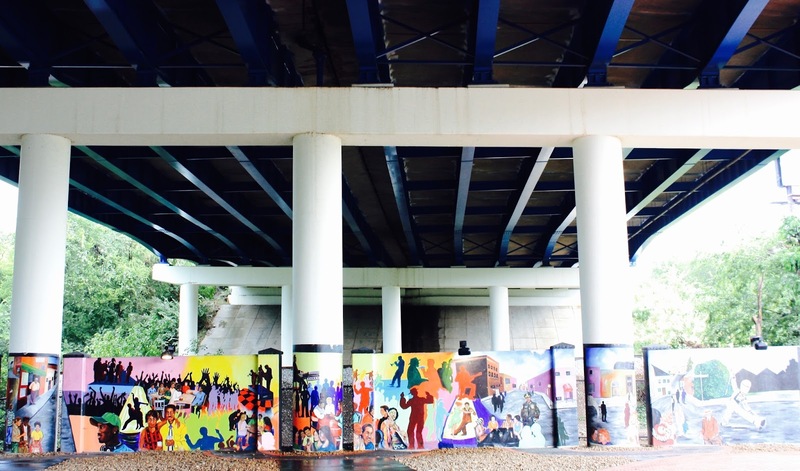 This one, I like to call “The History of Jefferson” features seven panels across the corridors of the Jefferson Street underpass. 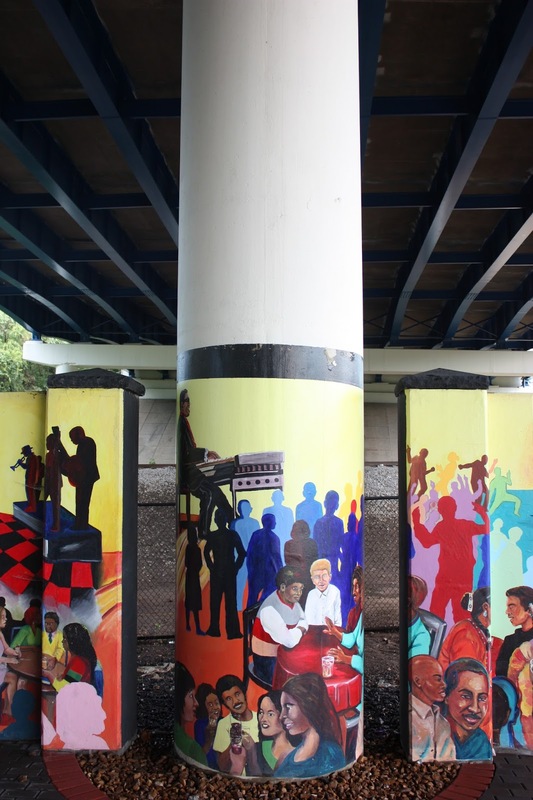 It’s really a great area, completely re-developed unused urban thruway now a monument to the city’s Black History and the Civil Rights movements in the city. 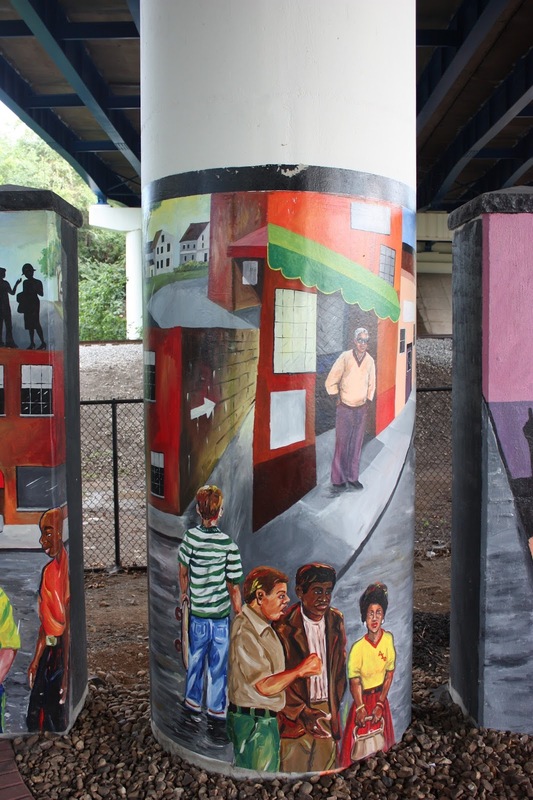 So, I hope you take a walk down one of Nashville’s most historic pathways. The vibrant art and bold stories will make you more proud of the city than you’ve ever been. It’s always important to remember the contributions of Black Americans through our history. With so many black men and women being unlawfully shot by police, it’s easy to get caught up in rhetoric and forget the beauty. Don’t forget the beauty.